First of also, I hope everyone had a wonderful Labor Day long weekend! 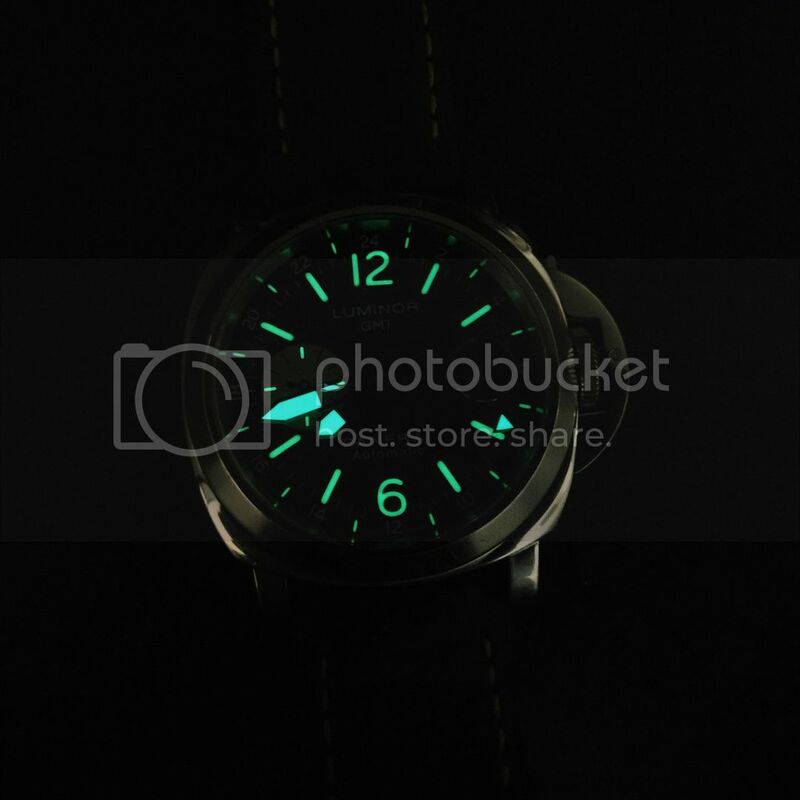 The PAM 88 was my first Panerai and has clocked many many miles around the world strapped to my wrist. I haven't worn this for years because it's been on shart straps so my wife can wear it. yesterday I saw it again after a long time and decided I have to have it back. 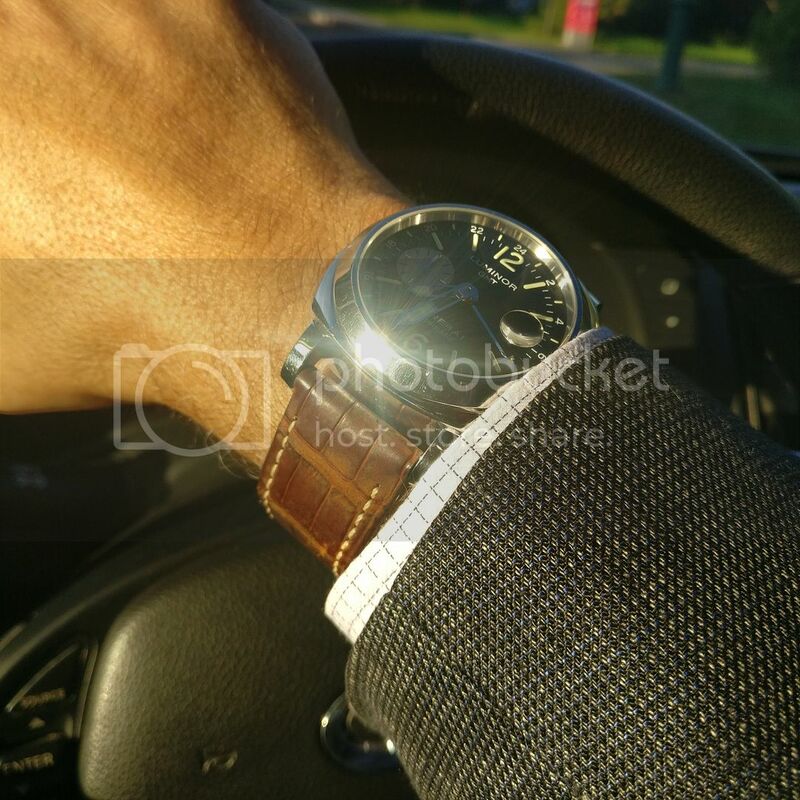 Here it is is an aged and patina JV Tan, one of Panerai's finest straps In my opinion. What are you wearing on this first back-to-work day in September? It's always good to get reacquainted with a old friend. Outstanding pal. I started with a 000 in '07 or '08. 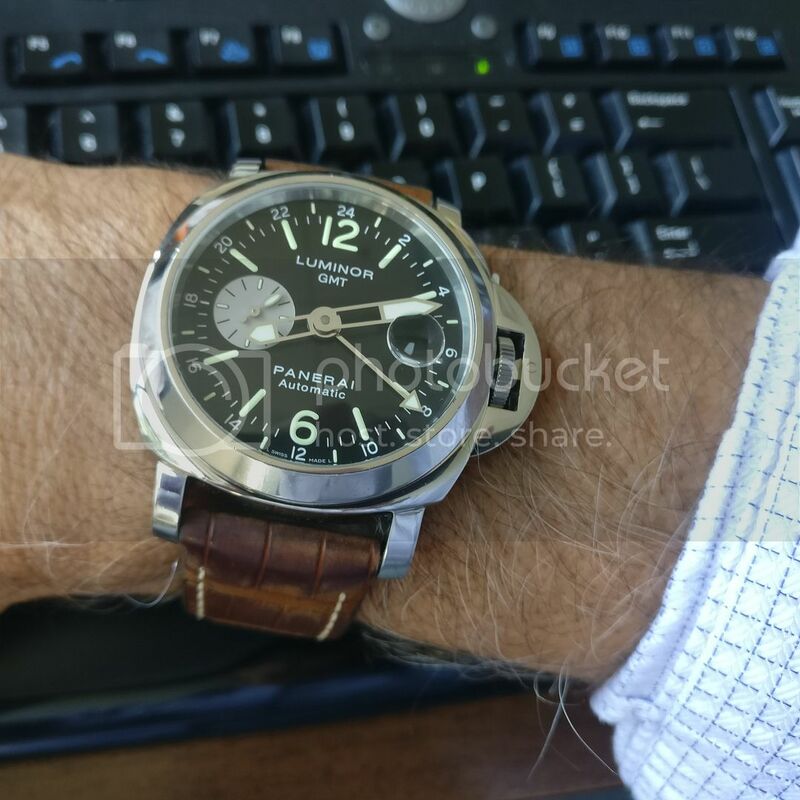 Though long gone now, I happened across the original receipt for my first Panerai (PAM116) that I bought in November of 2002 while I was clearing out some old files. In my recollections of the purchase, I *thought* that the AD had given me 20% off, but I had to laugh out loud looking at the receipt. It had a retail price of $2,700 USD at the time (which still seemed like a ton of cash for an 'unknown'/new brand), but my AD actually gave me 35% off list, so it went out the door for $1,755. I remember my salesperson being almost incredulous that I was buying it at the time, but still, I had a good laugh thinking back on that. 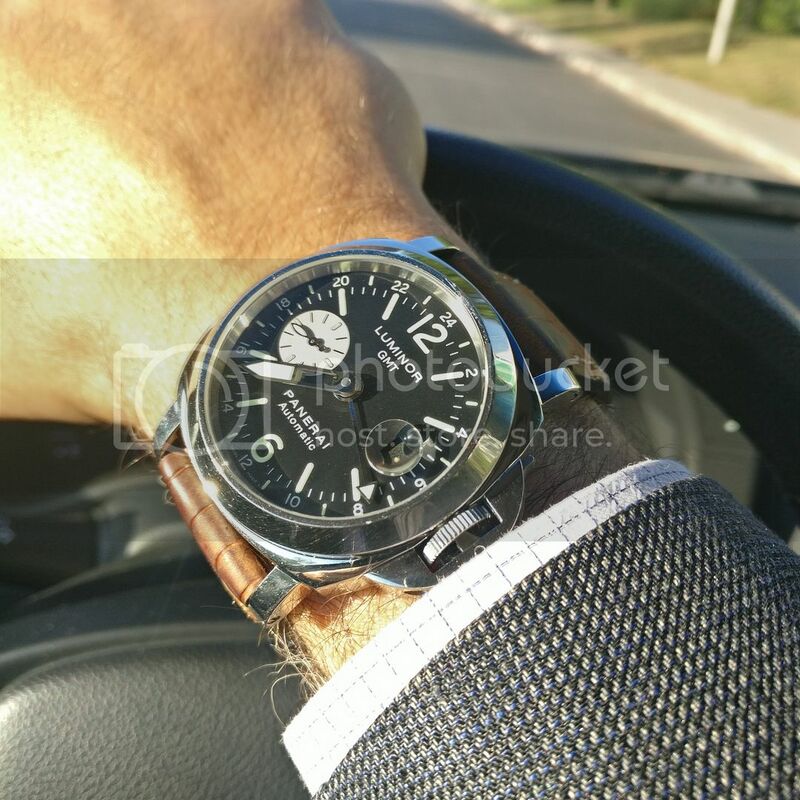 Enjoy wearing that first Panerai love Nad! There have been quite a few since '02 where I wish I could have had that applied!